If you really want to find the next innovative breakthrough, then you should be looking where no-one else is looking. Airtasker Co-Founder, Tim Fung’s keynote address at Leading Age Services Australia’s (LASA’s) National Congress last October presented an excellent illustration of this point. Implicit in his address—and to Airtasker’s success—was the company’s ability to see untapped supply in the workforce, and partner that up with unaddressed demand from businesses, where most people saw nothing at all. Who would have thought that you could build a multimillion dollar business with more than 1.7 million users simply by connecting people wanting to be ‘their own boss’ with organisations needing expertise for discrete tasks? It’s all the more intriguing when you consider that we already have employment and recruitment agencies acting as the primary conduit between the supply of and demand for skills. The same can be said for the Airbnbs and Ubers of the world—these are successful organisations that were able to transcend conventional beliefs to find hidden opportunity. The Airtasker example is important for our discussion, primarily because it illustrates that stepping away from convention works equally well in our country. Incrementalism − where we think that the right way to do things is to proceed with a one-small-step-at-a-time mentality. Risk aversion − the fear of ending up lonely and wrong to our peers as a result of having a unique idea. Complacency − the thinking of not rocking the boat because we’re a beneficiary of the status quo. Flatness − the belief that if there is something truly new to be discovered, someone else would have done so already. 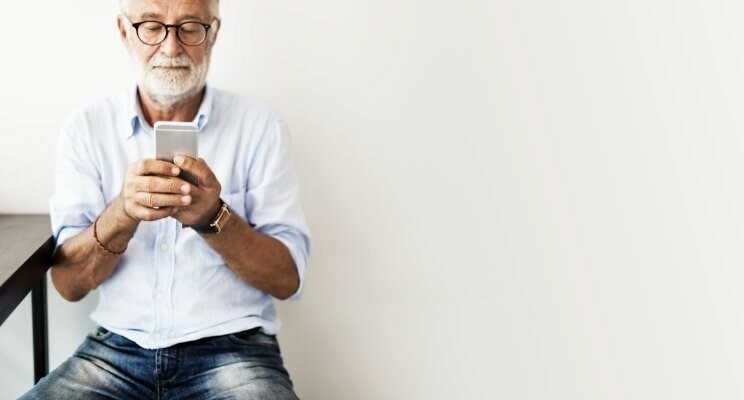 In the age services context, ongoing reforms, marketisation, and rapidly changing demographics are presenting an increasingly complex set of challenges and opportunities, disrupting our industry. Along with this, older Australians and their families want easy-to-navigate personalised services in care settings where they feel listened to and respected. At this important juncture in our industry, any new initiative responding to the above-mentioned market forces starts under unique circumstances, and all organisations can only start once. In other words, failure is less an option as most would think or allow. The practical and psychological implications of accepting that innovation ideas fail for random reasons are profound. There’s a model for it. It’s called a lottery. The only way to up your odds of success, is to buy more tickets. For us, the moral equivalent would be to just pump out more and more ideas and hope a few more stick. Approaching innovation by pumping out mountains of ideas is implicitly predicated on a tacit belief in randomness. In hindsight, it was perhaps fitting that LASA CEO, Sean Rooney, announced LASA’s establishment of Australia’s first national innovation network for the age services industry—innovAGEING—on the same day as the Airtasker keynote address. There are no hard and fast solutions to the challenges occurring in our industry, and there is no one-stop technological Band-Aid per se. In this regard, innovAGEING’s primary mandate is to facilitate, connect and curate for the age services industry, initiatives and ideas that not only add value, but also allow members to capture value for their respective organisations and the communities they serve. When the future is unclear, and the present landscape is fast-changing, to innovate is the most direct action one can take to exercise definite mastery on one’s commercial future. This cannot be a strategic initiative predicated on chance or luck. Instead, it must be a conscious cause-and-effect exercise. If you believe that there is no finite endpoint to technological progress, and peoples’ wants and needs are ever-changing, then you would share with us the conclusion that there are still an infinite number of opportunities for our industry to pursue. And that is an open invitation to collaborate, share and solve problems together, which is why our industry needs an innovation network like innovAGEING.